These beautiful tribal shell necklaces are not only used to create the unique form of Oceanic Art. They are “Tabu” a form of Tolai Shell Money. Tabu played a very important part in the life of Tolai villagers. They were used for settling disputes, bartering for produce, as part of the traditional ‘bride price’ as well as being regarded as a symbol of prestige, and along with goods and cash was the customary method of acquiring land. 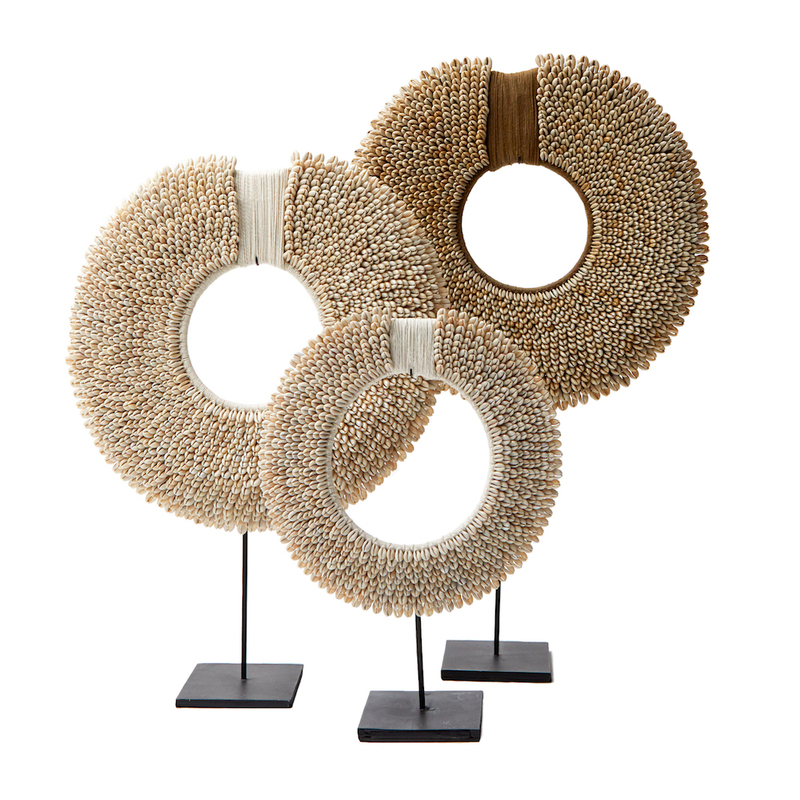 An intricate sculpture handcrafted in Bali from ethically sourced sea shells, which are bound together with an taupe or ivory coloured cotton in an outwardly radiating pattern and mounted on a discreet rustic black stand with rectangular base…or alternatively also work beautifully mounted as wall art.